Although my pace throughout last Sunday's Bethpage run was s-l-o-w, I was encouraged to see my speed improve once I started running with SIOR. Unfortunately, my speed dropped again once she who was out running brought her pace back to target. Left to pace myself, I'd defaulted to a lower performance level. My orthopedist told me that my ruptured disc won't return to its prior state on its own and he warned me of pushing my speed too hard. I've been very careful to avoid circumstances that would aggravate my lower back and my recovery has been excellent. The near trip I experienced during a trail run last weekend didn't cause a relapse, so I decided it was safe to push the envelope a bit this weekend. My morning schedule was tight so I needed to get out for an early, fast workout. When I arrived at the track there was the usual mix of people -- mostly walkers and others who were alternating between running and walking. I had no plan, other than to run intervals that I would start after some warm up laps. 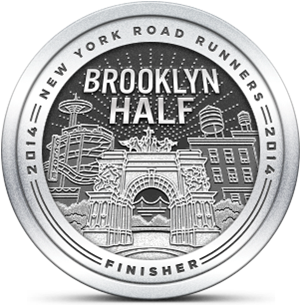 I ran clockwise, on the inside (right) lane, to help counter-balance my usual running position on the left side of the road. After I'd completed my second lap, I noticed a guy wearing a singlet on the track about 100 meters in front of me. He looked like he was about to start his run, but pulled up short behind a man who had been walking laps. Once I reached them, I heard the runner arguing about the walker's rudeness. In the seconds that I passed them, inferred that the walker had bumped into the other guy and failed to apologize. I continued on my way but noticed that they were still in a heated conversation when I circled back toward where they were standing. I was prepared to give them the, "C'mon guys, let it go" speech but they stopped on their own before I reached them. I continued rounding the track until I'd completed twelve laps and saw that the singlet guy had started running 200's. Instead of taking a short rest or running a slow jog before resuming, he slowly walked 200 meters to the next starting spot and rested a few minutes before resuming. I ended up doing two 200's for every one that he did. My feeling of superiority was quickly dashed. A young woman, who was also running strides, overtook and passed me like I was walking. At that moment, I was running a 7:15 pace. No matter how fast you run, there's always someone faster. In my case, that's usually everyone else. I'm pleased that I got in some speed work today. I haven't checked Garmin Connect, but I think that was my first interval session in 2015. 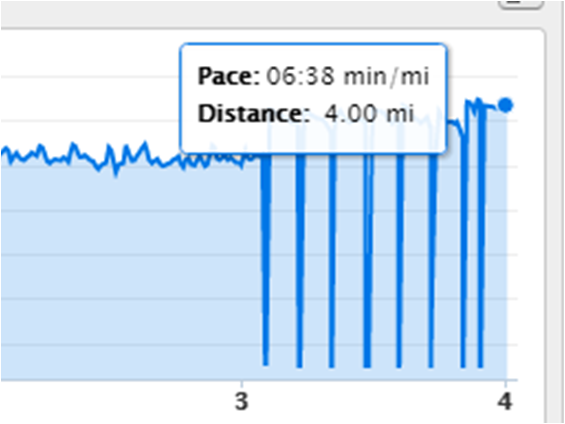 It was a pleasure to see the histogram on Connect that showed my cadence firmly in the green zone throughout most of the workout and my average stride length ten percent longer than usual. 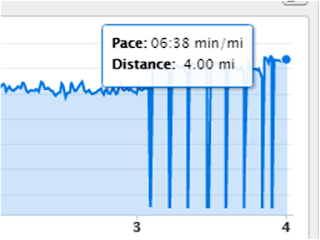 Mostly, it was great to see a mile split in the low 8 minute range for a change. Fisticuffs would have been awesome. How disappointing. Trying to drum up business Spiderman?